I was very pleased to hear that Canaltime are no longer based on the Trent & Mersey Canal at Sawley. 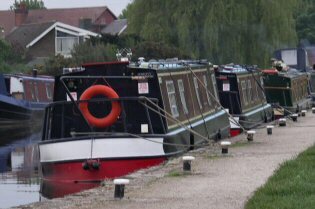 During the summer months, we often take our boat down the Trent & Mersey from Fradley through Alrewas in the mornings, and you could guarantee there are Canaltime boats moored on the lock moorings at Alrewas Lock, it obviously being a handy mooring place from Sawley. All that instruction they get obviously does not include not stopping on lock moorings, and though I see why there has been less this year, in the past there were always Canaltime boats there, so thank goodness they have gone.